Irvin Shrewsbury Cobb was born on June 23, 1876. At seventeen years of age, he began writing for the Paducah Daily News, his hometown paper. At nineteen he became the managing editor; up to that point, our nation's youngest. He worked as a columnist, a humorist and an author. But 'horror,' and 'short stories,' are not why he is remembered. He is remembered because he was, and still is, funny. 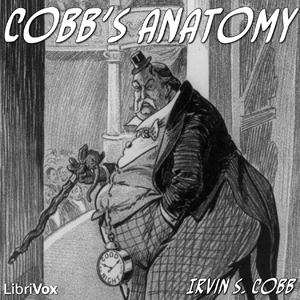 And although he is now dead--he died March 11, 1944--this work "Cobb's Anatomy," among others, has left an indelible mark upon mankind: a smile.